Dalia Hatuqa is a journalist based in Ramallah. 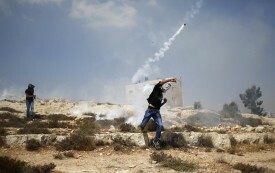 Is Another Intifada Possible in the West Bank? Israel’s war on Gaza has provoked both peaceful and armed resistance in the West Bank, a simmering situation over which the largely discredited PA is losing control.